Sterling was close to a 10-day low at 7am following approval by the US Senate of the Republican Party budget. Sterling traded at $1.3111, down -0.36%. The pound was already under pressure from worse-than-expected UK retail sales in September as inflation continues to slam British pockets. The euro also came under pressure following the US news, down -0.38% to $1.1806. However the US vote was close at 51-49. The US Senate move means the Republicans have the ability to pass tax reform – or tax cuts – with their 50-plus votes. The tax code overhaul was a cornerstone of Trump’s election campaign and will help his party put some distance on multiple legislative failures so far, including the promised death of Obamacare. The move provides “financial relief for families across the country,” said the White House in a statement, “and making American businesses globally competitive”. Things now look better also on midterm elections for Trump. The dollar climbed more than +0.62% against the yen to 113.24 though the Japanese focus is very much premised on what happens on Sunday – a likely election victory for PM Shinzo Abe. The Trump Senate breakthrough saw gold slip -0.31% to 1,282.70. WTI crude was up +0.39% at 51.71 and Brent crude up +0.37% at 57.44. Asian shares traded sideways today, sticking to narrow trading ranges. We start with a positive third quarter update from InterContinental Hotels: its critical RevPAR – the revenue per available room metric used by much of the hospitality industry – is up +2.3% globally plus +4.1% net room growth. Digging into the numbers European RevPAR soared +7.1% in Europe with UK growth of +4.1% (helped by lower sterling). In Greater China RevPAR was up +7.8% in the last quarter. “The weakening of the US Dollar against many major currencies globally increased group RevPAR to +2.7% in the quarter, when reported at actual exchange rates,” said InterContinental Hotels. Its share price at 4,098p is up +16% over the last 12 months though this slips to just +3.2% on a year-to-date basis. 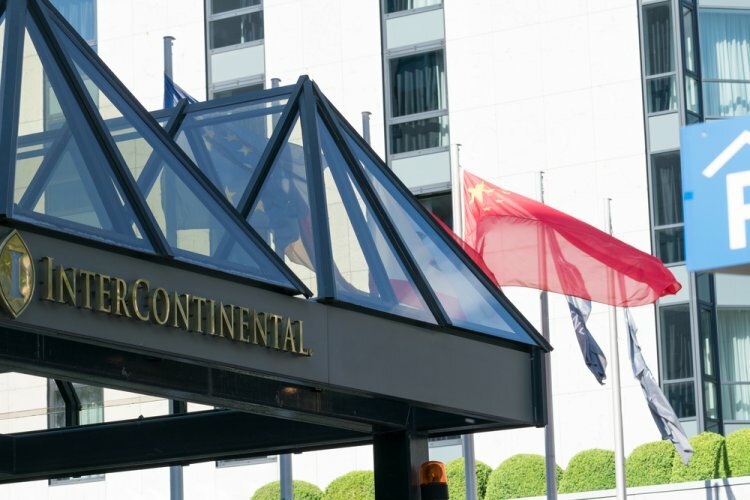 InterContinental did not up its underlying earnings guidance. A quiet day on the earnings front otherwise. Late today the EU27 – minus Theresa May – meet to part-discuss Brexit negotiations. Expect negative sentiment with some of the discussion centred on the accountancy maths of a final bill, plus generalised unhappiness on rights of Europeans within the UK. Goldman Sachs boss Lloyd Blankfein has suggested that GS will be upping its presence in Frankfurt – the clear inference being that London is losing influence as a financial centre. Breaking news: Interserve – whose shares plunged close to -30% yesterday following a profit warning – has announced a £227m DWP five-year contract. Australia today made its last locally-made car: Holden has stopped marking cars in Oz. Ford and Toyota have also ceased prodution in Australia. Marks & Spencer is getting into the mortgage and home loan market with deals for first-time buyers.